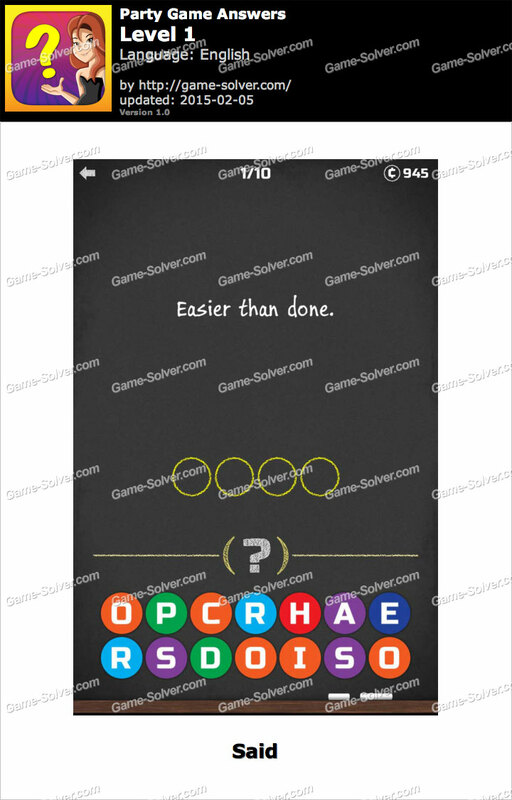 Party Game Answers, Cheats, Walkthrough, Solution for iPhone, iPad, Android, Kindle and other devices, this game is developed by Second Gear Games. If you like pic games, rebus puzzles, riddles, trivia, charades, word associations, word games and logic puzzles, you will definitely enjoy this exciting party game! Puzzles are based on famous sayings, catch phrases, popular expressions or simple words. Look at the funny pics or read the funny jokes and riddles and guess the answer. Can you find the answers to all the rebuses, charades and riddle puzzles in this twisted one-of-a-kind brain game? This is the question and answer for Party Game Level 1.